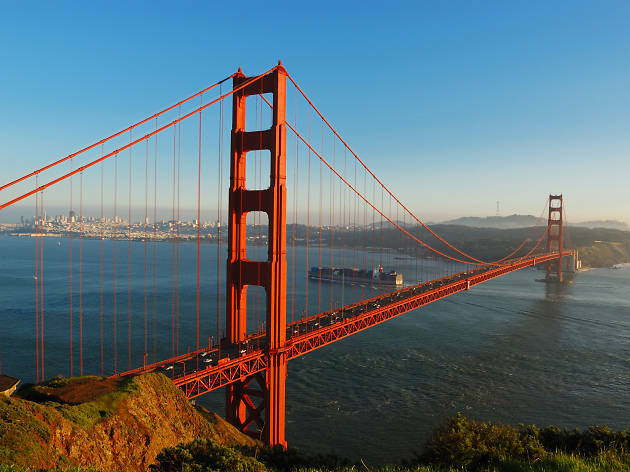 The world’s most photographed bridge and its iconic 746-foot tall orange towers have stood sentinel over the San Francisco Bay since 1937. Even when shrouded in fog, the bridge never fails to impress. 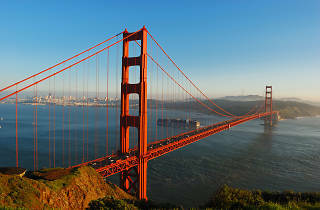 The view is spectacular whether you get a glimpse from the city (try Crissy Field, Fort Point and Baker Beach for best vistas), the Marin Headlands or by passing over its span—bikes and cars are permitted access across the bridge 24-hours a day, walkers can cross using the east sidewalk between 5am-6:30pm (5am-9pm during Daylight Savings Time). Come prepared wearing extra layers; Karl the Fog doesn’t mess around when it comes to the Golden Gate. Walk it from end-to-end! Make sure to bring a thick jacket because it's quite blustery. Watch out for the cyclists because none of them really know what they're doing.